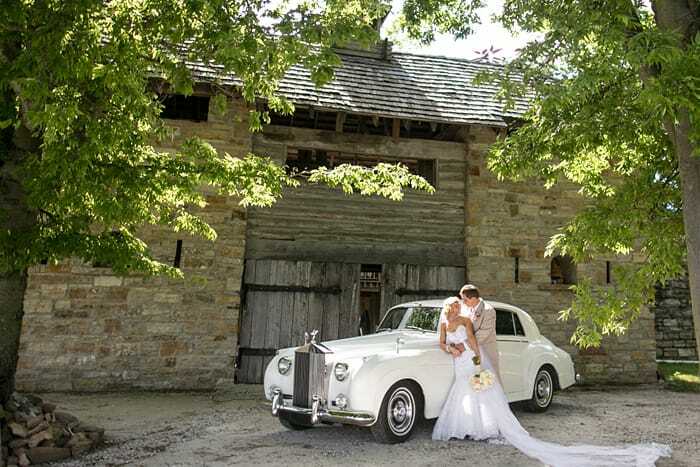 If you could spend every single minute of the day dreaming, planning, and prepping for your wedding, you would. But, if your fiancé doesn’t feel the same way, don’t stress! Some guys just don’t get as excited about some of the little details that women swoon over. Do you plan to offer a signature cocktail or array of craft brews at your reception? 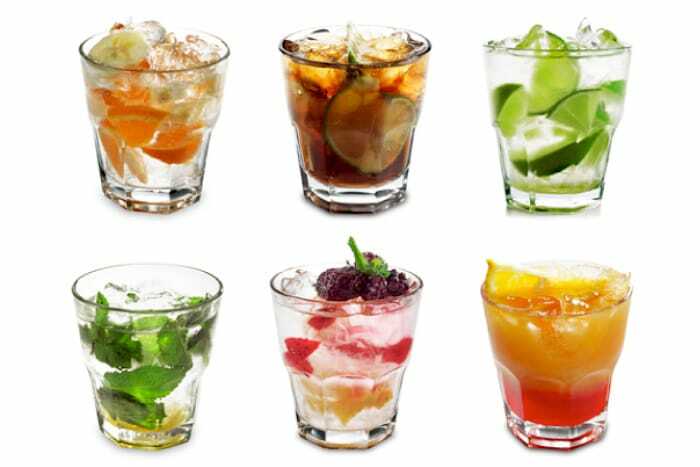 Organize a meeting with the bartender and invite the best man and groomsmen to join. Turn the tasting into an excuse to enjoy an evening out with the guys while you check one more item off your to-do list. If you want to exit the wedding ceremony in style, let your fiancé pick the ride. Whether he chooses a limo, vintage racecar or decked-out monster truck, he’ll be happy that he gets a say in this non-frilly wedding day decision. Pro-tip: Remind him that you need to be able to enter and exit the car with ease, especially if you’re wearing tall heels, a mermaid dress, or a full ball gown. While you should plan the menswear look together as a couple, let your groom pick out all the extras. 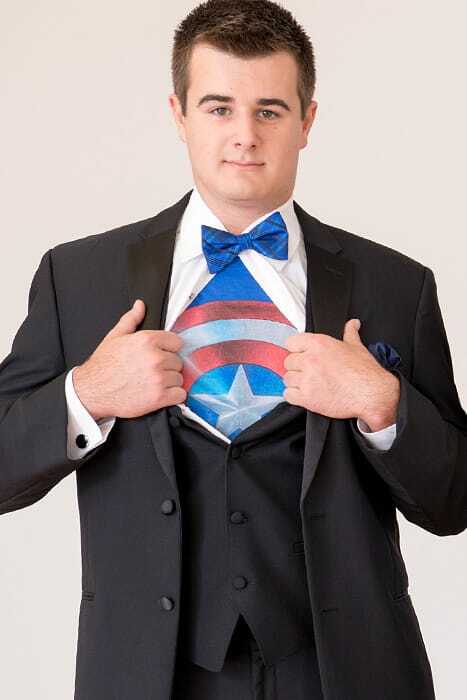 If he wants each guy to wear a superhero T-shirt under his tuxedo, let him shop for them. Or, if the guys plan to wear sneakers instead of traditional wedding footwear, have him pick them out. Encourage him to get creative! Think beyond the wedding day and put the groom on honeymoon duty. While planning out the entire trip is probably best done together, he can browse travel sites at home on the couch, saving you hours of time. Ask him to narrow down his top three destinations or travel packages, so you can make the final choice together. 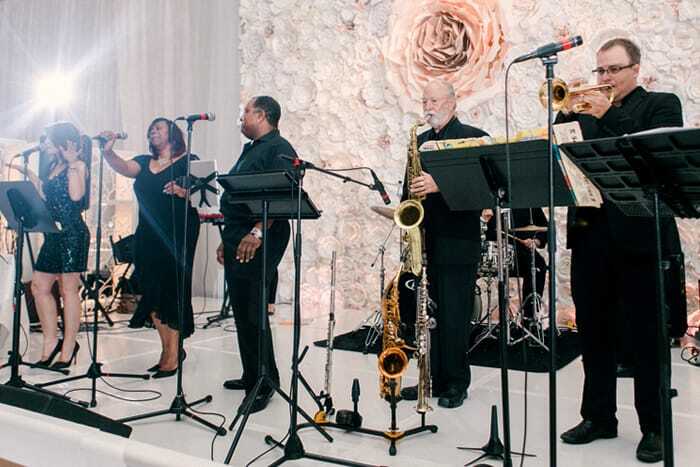 Your DJ, live band or soloist will want a detailed list of your musical choices. Give your hubby-to-be free rein to brainstorm a list of song titles he’d like to hear at the reception or during a cocktail hour. As you go through the list together, pick the favorites for your special dances. Getting the groom in on the wedding planning action isn’t as tough as it seems. Delegate the tasks that you know he will enjoy and savor the rest of the outings with your female family members and friends. Also, make sure to check out the Jim’s Formal Wear Event Manager. If your fiancé wants to select the perfect tuxes for his groomsmen, the Event Manager makes life easier by giving him the option to save the ensemble he wants. Pro Tip: If you do this together, you can review the choices he made just in case he decides to order tuxedos that match his orange signature cocktail selection.